Phonetics For 'Tower Bridge Exhibition'? The Tower Bridge Exhibition is a display housed in the bridge's twin towers, the high-level walkways and the Victorian engine rooms. It uses films, photos and interactive displays to explain why and how Tower Bridge was built. Visitors can access the original steam engines that once powered the bridge bascules, housed in a building close to the south end of the bridge. The exhibition charges an admission fee. Entrance is from the west side of the bridge deck to the northern tower, from where visitors ascend to level 4 by lift before crossing the high-level walkways to the southern tower. 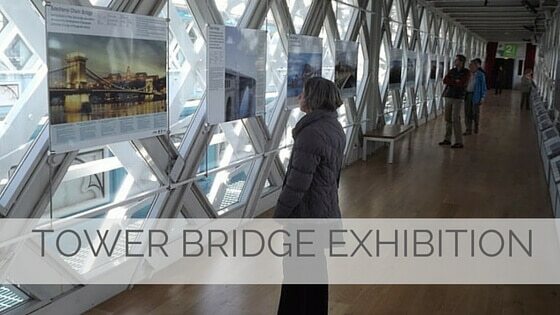 In the towers and walkways is an exhibition on the history of the bridge.